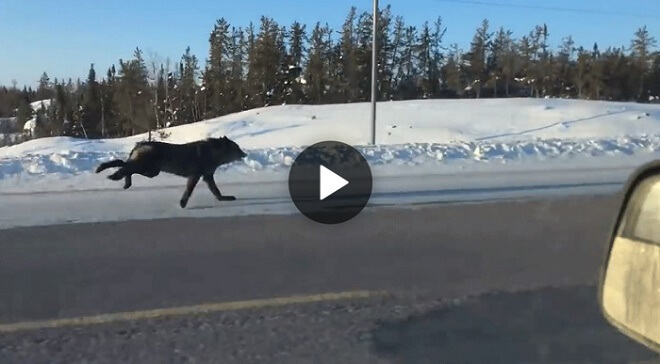 A Canadian woman, Rhonda Miller, was shocked when she spotted two black giant wolves running down Highway 3 alongside her car. Rhonda was on her way to her job in Edzo, Canada, located in Canada's remote Northwest Territories, when she noticed two wolves running at a blazing speed. “So many men have asked, how fast were they going?” said Miller. “Had I been a man, I may have looked. I don't know. I think between [25 and 30 mph]... it was fast.” This is definitely NOT something you see everyday!